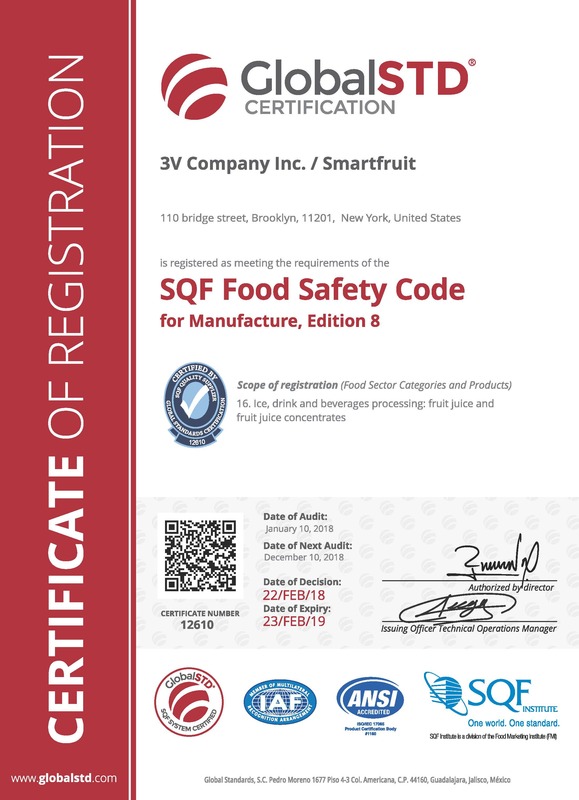 Smartfruit is now proud to produce its products in an SQF certified plant. SQF (Safe quality Food) is recognized by retailers and foodservice providers around the world who require a rigorous, credible food safety management system. SQF assures that robust food safety control systems have been effectively implemented in the production environment to deliver the best quality product and the best good manufacturing practices.